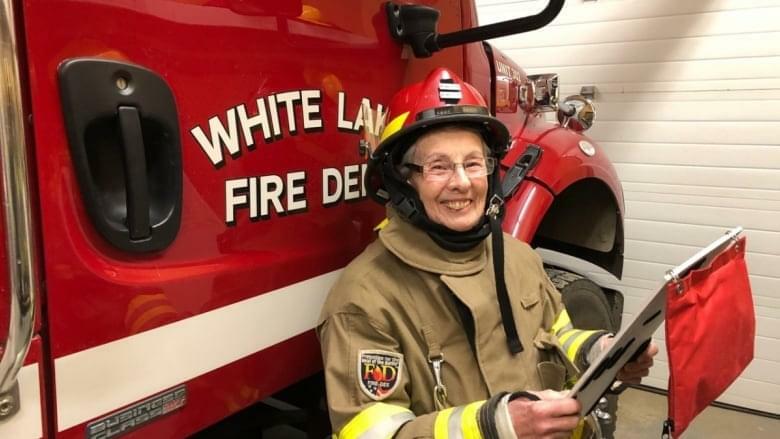 A Canadian grandmother is squashing stereotypes and showing there’s no age limit to helping fight fires. Lester McInally has been volunteering with the White Lake Fire Department for the last 17 years and at 73, she’s still loving it and has no plans to stop. McInally and her husband moved to the area in 2001 and she says they started volunteering with the fire department “because they were giving us the protection that we needed.” She’s not rushing into burning buildings, but she’s their staging officer, making sure everyone is accounted for during and after the blazes. Her hubby retired from volunteering a few years ago, but she’s still going strong.